When most people think about Cinco de Mayo, they envision celebrations involving sombreros, piñatas and Mexico-themed food and drink. Cinco de Mayo commemorates the date of the Mexican army's 1862 victory over Napoleon III’s France at the Battle of Puebla during the Franco-Mexican War. In Mexico, the day is a major holiday only in Puebla, where parades, speeches and battle reenactments are held. Mexicans residing in California in the 1860s first commemorated the Battle of Puebla as a way to represent two things: A victory against imperialist invaders of Mexico, but also a triumph for the union and the anti slavery cause in the U.S. civil war since France supported the Confederacy. The day became increasingly popular in the U.S. over the 20th century as a way for Mexican Americans to show pride in their heritage and to express support for the Chicano Movement. “Many students are surprised to learn that the largest Cinco de Mayo celebration in the western hemisphere is, by far, in Los Angeles, not Mexico,” Eiss said. Even so, Eiss notes that Cinco de Mayo has been important in Mexico in different regions and moments. He found during his research on the Mexican Revolution in Yucatan that an indigenous rebellion against landowners was timed to coincide with Cinco de Mayo. “It was a way for them to present themselves as Mexican patriots, but also a way for them to cast wealthy Mexican landowners as foreigners and imperialists, akin to the French,” Eiss said. Eiss will teach “Mexico: From the Aztec Empire to the Drug War” in the fall of 2018. 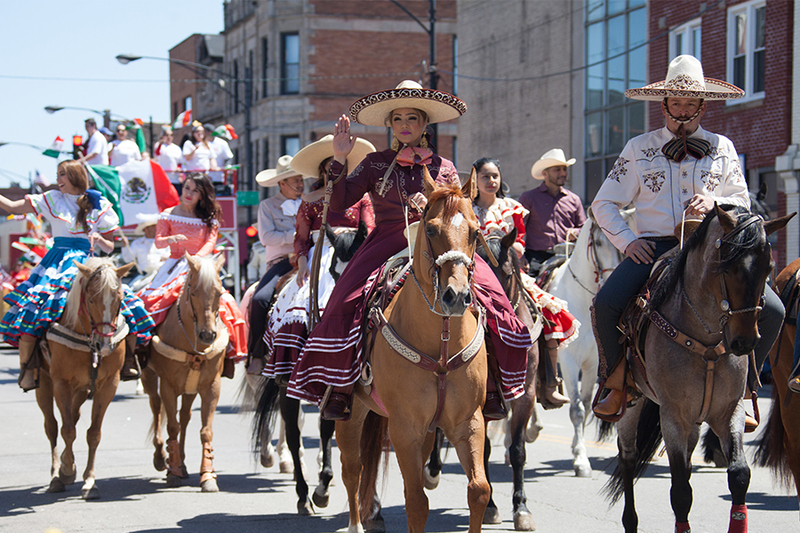 Pictured above: A Cinco de Mayo parade in Chicago, Illinois.